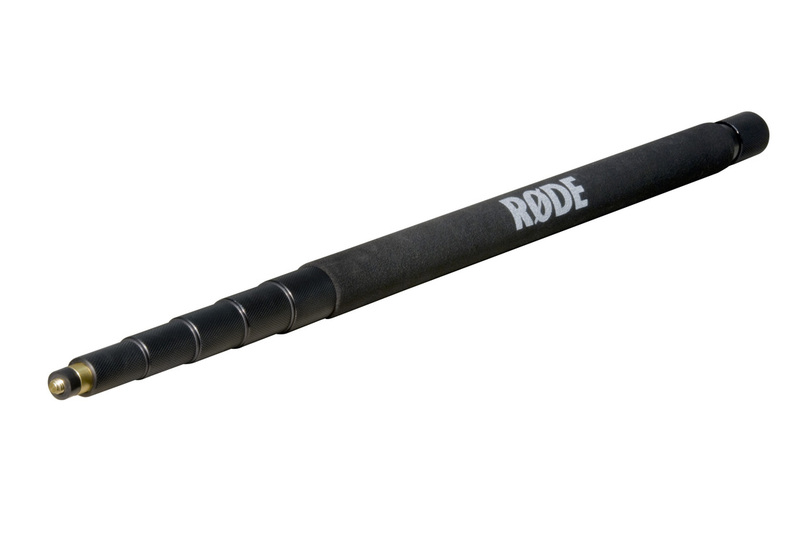 Rode's Boompole provides up to 10' of extension for shotgun microphones. The pole uses a 3/8" industry-standard thread and is designed to fit SM3 Shockmounts, RMS Stand Mounts (NT5, NTG-1 & NTG-2), and VideoMic. The five-section pole collapses down to 33" for easy portability. SM3 Shockmounts, RMS Stand Mounts (NT5, NTG-1 & NTG-2), and VideoMic.